I first came into contact with the witches during a spontaneous protest that they were holding in front of Romania’s Parliament building. They were outraged by the stand that Roma MP Nicolae Păun’s had taken against such practices and his tabling of a special law to tax incomes from witchcraft activities. While some of the witches jabbered in front of the cameras about things that would leave most of us speechless, bewitched even, I told the others, aside, that I could assist them communications-wise, but on one condition: that they keep their mouths shut. As if by magic they fell silent and that is how I got to take part alongside the witches and Nicolae Paun in a televised debate on the draft law I mentioned before. I won’t bore you with the details of the television debate, but I will tell you that this is how the idea of a documentary on witches came to me. Last year I left the Festival of Photojournalism in Perpignan earlier than planned. I didn’t want to miss the Roma Festival at Costesti. I had taken part the previous year, but had got there rather late. Suddenly, a woman in the crowd drew my attention. 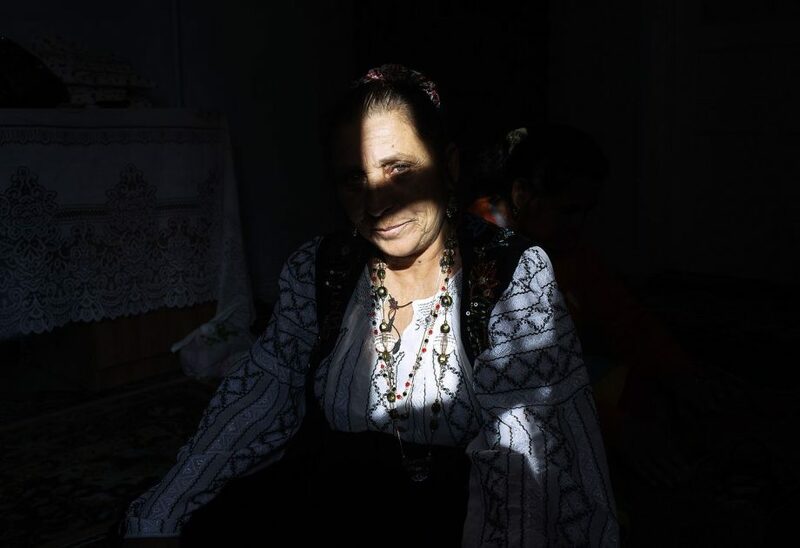 She saw me taking a photograph of her and came up to me to introduce herself: “I am Bratara (bracelet) the witch.” I thought to myself at the time: “This must be a sign,” and I asked for her phone number so I could contact her when I got back to Bucharest. Not long after that I started working on the project. I had no idea what a witch’s day-to-day life was like. At first, I was worried that all I would get to see would be her reading the tarot cards a couple of times. Little did I know what an interesting and strong woman she would turn out to be. From her childhood in a covered wagon to the respect in which she is held by her very large family, Bratara’s life is like a novel. After a life marked by good times and bad times, today Bratara enjoys a level of respect many non-Roma never dream of. After our initial meeting, at which I explained my intentions, the first opportunity to get some work done came when one of her many nieces celebrated her birthday. The biggest surprise of that evening was the unexpected release of Manix, one of Bratara’s sons, who had been taken into custody after getting involved in a scandal instigated by Oana Zavoranu. Superstitious by nature, Bratara may have thought I brought her luck. Even so, it was not easy to convince her to call me whenever she felt like it and to allow me to do some more work on my project. Little by little, I discovered places I would never have imagined when I started the project: from funerals and exhumations to matchmaking, arraignments before the stabor (the traditional Roma court of justice), and, of course, magical rituals. And eventually I got caught up in this whirl. In my view the witches play a twofold beneficial role. Firstly, in a society in which people are increasingly lonely, the witch is someone you can communicate with, who listens to you. In a way, she is like a people’s psychologist, always on call. Many people would rather be labelled as believing in magic than go to a psychologist and be labelled as crazy. Secondly, when you think of Brazil you inevitably think of Voodoo. Why shouldn’t Europe have its own alternative to faraway Brazil when it comes to mysticism? By combining the witch myth with the Dracula myth, we might come up with something that sets us apart and really draws tourists to a Romania, harking back to the way Europe was centuries ago. 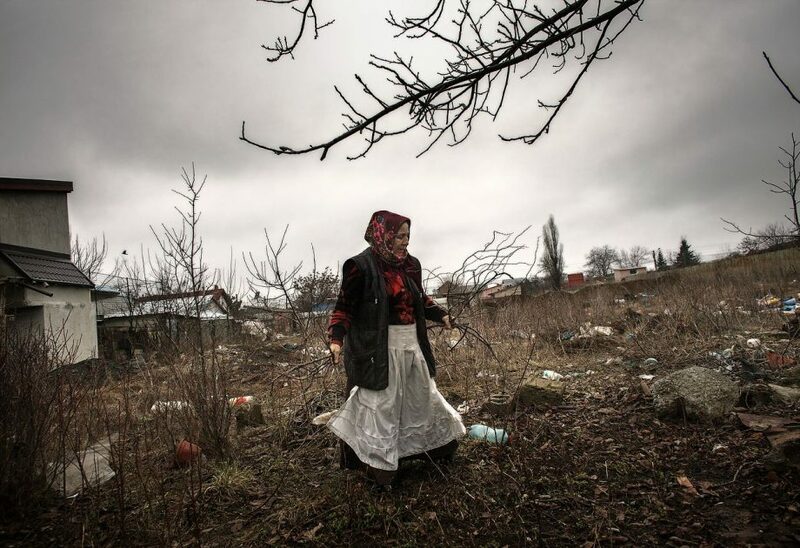 Bratara, a Romanian witch of Roma origins soon after finishing preparing bed linens for her nephew Fernando engagement party with Nobila, as seen in Bucharest on November 20, 2012. The first attempt to bring Nubila home one week earlier failed so a second attempt was organised one week later. Late 2011, Nicolae Paun, who represents the Roma in parliament, has called for legislation to stop “backward practices” involving witchcraft. Bratara, a Romanian witch of Roma origins performed a love spell for Alexandra, as seen in Bucharest, on October 31, 2012. Alexandra is seeking the love of a ‘sugar daddy’ and she constantly revisits Bratara for advise and magic rituals. Late 2011, Nicolae Paun, who represents the Roma in parliament, has called for legislation to stop “backward practices” involving witchcraft. 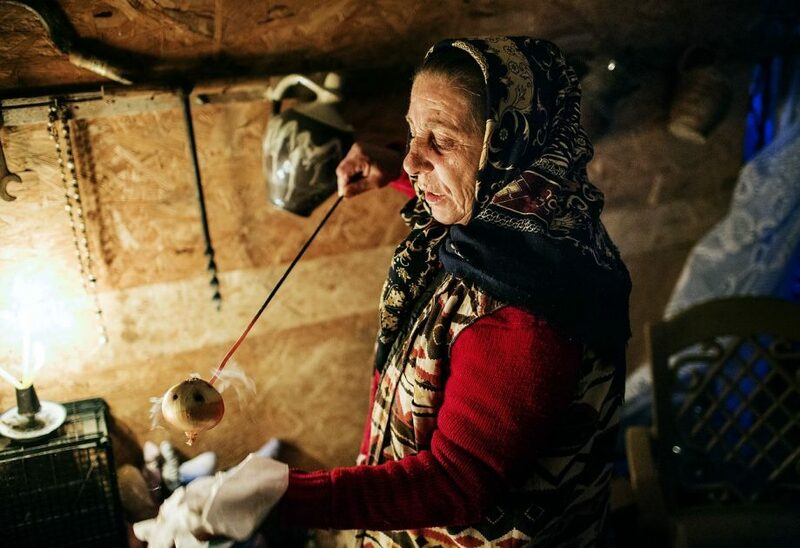 Bratara, a Romanian witch of Roma origins gathers ingredients requested for a a love ritual on Dragobete, as seen in Bucharest on February 20, 2013. Late 2011, Nicolae Paun, who represents the Roma in parliament, has called for legislation to stop “backward practices” involving witchcraft.